A variety of flange sizes and stem configurations are available dependent on the material being riveted. 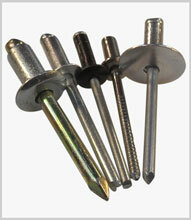 These control the clamping force and act to spread the load. 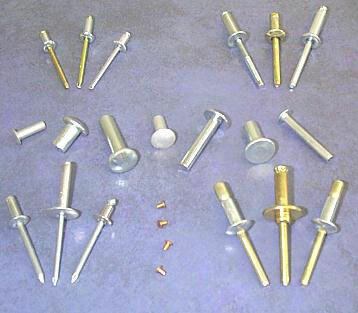 Mandrels and rivet bodies can be matched to address corrosion or galvanic issues for specific applications. Available in zinc plated steel, stainless steel, Monel metal and aluminium.